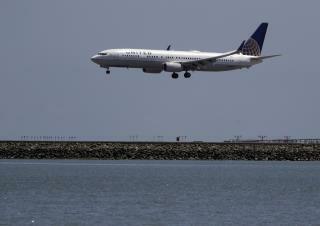 (Newser) – A dog died on a United Airlines plane after a flight attendant ordered its owner to put the animal in the plane's overhead bin, the AP reports. United said Tuesday that it took full responsibility for the incident on the Monday night flight from Houston to New York. In a statement, United called it "a tragic accident that should never have occurred, as pets should never be placed in the overhead bin." The dog was in a small pet carrier designed to fit under an airline seat. Passengers reported that they heard barking during the flight and didn't know that the dog had died until the plane landed at LaGuardia Airport. Passenger Maggie Gremminger posted a photo on Twitter of the dog's owner and children after the flight. "I want to help this woman and her daughter. They lost their dog because of an @united flight attendant. My heart is broken," she wrote. United spokesman Charles Hobart said the flight attendant told the dog's owner to put the pet carrier in the overhead bin because the bag was partly obstructing the aisle. It is unclear why the carrier was not placed under a seat, he said. Hobart said United is investigating the incident and talking to the flight attendant, whom he declined to identify. He said the airline refunded the tickets purchased for the dog owner and her two children and the fee that they paid to bring a pet on board—typically $200. The cause of the dog's death was not immediately known. The spokesman said Chicago-based United offered to pay for a necropsy. Last year, 18 animals died while being transported on United—there were six cases on all other US carriers combined, according to the Department of Transportation. Play time is over for this issue. It must be seriously dealt with. Yesterday a wackadoo wanted to know if he could bring his fake therapy dog on a public bus to Atlantic City. The powers that be (Maybe the Port Authority??) should AT THE VERY LEAST insist on a MUZZLE for dogs flying on planes, buses and other means of public transportation. That's at least a start. No danger of biting or barking. Probably should have an airline lock on it too, because we know the turkeys are going to remove them. Make sure there are breathing holes. I saw a good muzzle today. There's nothing around the nose, its like an open end material cone, that just holds the mouth together. Dog should have flown 1st Class. I understand the overhead bins a roomier and have snack and beverage service gratis.